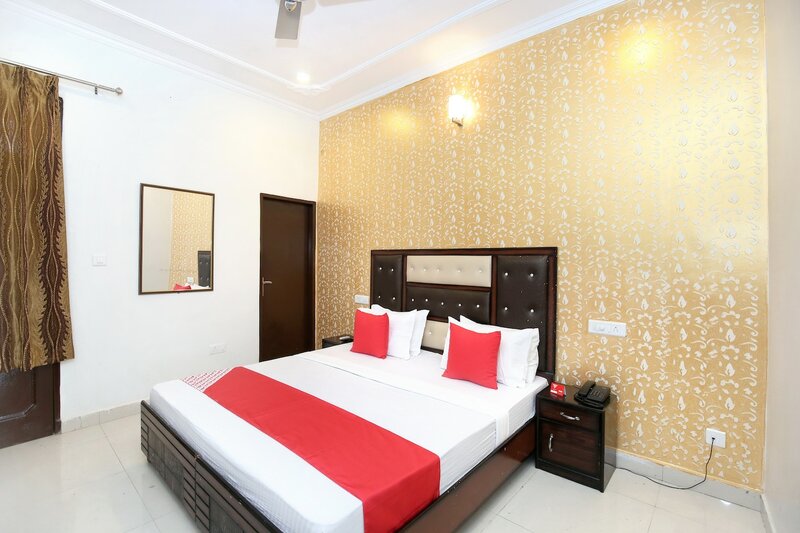 Hotel Adarsh is located in a convenient part of Nayagaon where guests can experience the hustling and energetic atmosphere of the city at a reasonable price. The simple property is furnished to provide the maximum comfort and stands out with its vibrant tiled up ambiance. The classic room with a vintage vibe with elegant wallpaper decor, makes for an appealing stay for the guests. The residents can avail the facility of free Wi-Fi to connect with internet for latest updates. The guests can take care of their healthy needs in the well-equipped kitchen. One can drive down to the Rock Garden, Pn Mehra Botanical Garden, and Shanti Kunj Park for an amusing experience.